In this post i would like to explain about how to build PHP application in Google App Engine. In this PHP application used jquery mobile and CURL library to read the feeds and hosting for free using google app engine. In my previous post i have explain about steps to implement and hosting your website in google app engine for free. Google App Engine Supports Python And Java. But we can implement PHP in google app engine. Here PHP is running on Java. 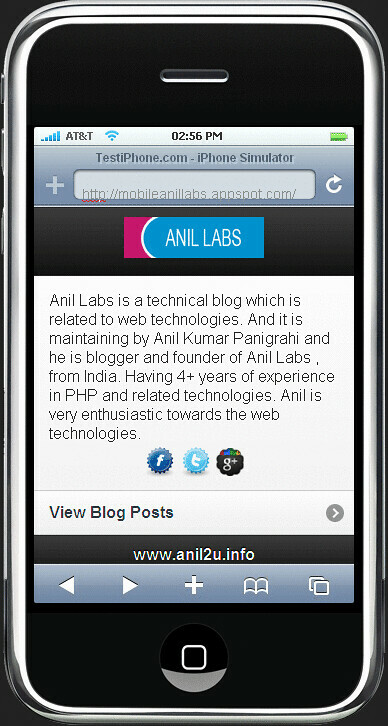 I have implemented mobile version of anil labs. Step1 : Download the Java and install in your system. Step3 : Download the application and unzip in your folder. 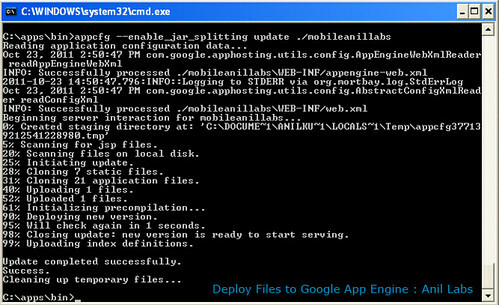 Step 5: With using command prompt we can deploy in your application into google server. Step 6: It will asking for google id and password. Provide the details and deploy the files into server. Step 7: We have three screen in this application. In this post i would like to explain about how to build PHP application in Google App Engine. In this PHP application used jquery mobile and CURL library to read the feeds and hosting for free using google app engine…. 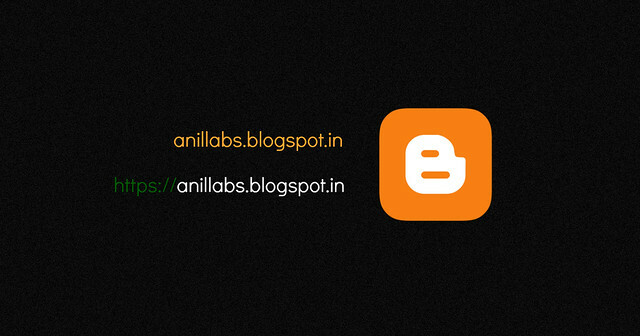 this one seems pretty perfect.. thanks for the awesome tutorial.. good work..
@Sandeep , Not only extension and we can build the php code too…. Why we cant see code PHP ?. Thanks for sharing your thoughts about width=device-width.